The moment for excuses has passed. Niko Kovac inherited a title-winning squad, one that only fell to Real Madrid in the semi-final of the Champions League last May due to questionable refereeing decisions – a squad that also finished runners up in last season’s Pokal. Bar the Super Cup – German football’s season curtain-raiser, the rest of the campaign has been a roller-coaster ride of poor selections and questionable decisions. Wednesday night was another example of just how far this Bayern side have fallen under the stewardship of the ex-Frankfurt coach, taken to the very edge by 2.Bundesliga’s FC Heidenheim in the quarter-final of the Pokal. It follows on from an unconvincing performance away from home against SC Freiburg at the weekend. Bayern were put through the mill in the opening 45 minutes and were fortunate not be staring down the barrel of yet another Bundesliga defeat. It would have been their fifth of the season, their worst return since 2014/15. With six games remaining that unwelcomed statistic still has the chance to become a reality. Speaking this week, Kovac lamented a lack of signings afforded to him since he took charge at Bayern – opting to use the example of Jurgen Klopp at Liverpool. For Kovac to do this is odd in the extreme. Klopp took over a very poor Liverpool side, one that had frittered away the Barcelona millions for Luis Suarez on mediocre replacements. It is true that the ex-Dortmund boss has been given money to spend in England – however, should he have inherited a squad as good as that which greeted Kovac last June, then there would have been no such need to spend in the way the Reds have. His comment to Sport Bild that critics need to “stay fair and be analytical and objective” flies in the face of what went before his tenure. The Bayern head coach shouldn’t be asking “How much have Liverpool and Jurgen Klopp spent in the past four years?”. 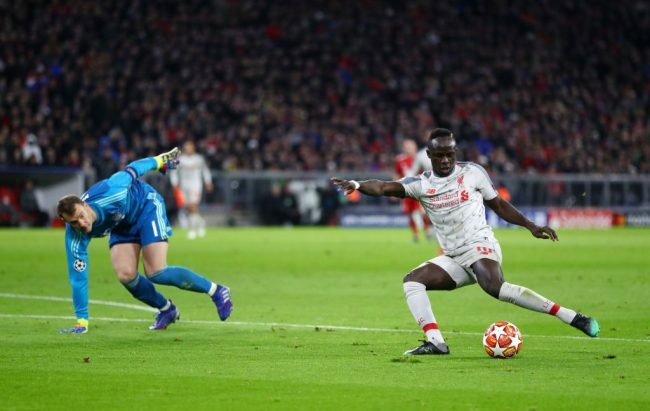 Liverpool – and Klopp – were unable to call upon one of the best goalkeepers in the world, Alisson had to be purchased at great expense, Manuel Neuer came free to Kovac. As did Thomas Müller, Robert Lewandowski, Joshua Kimmich, Serge Gnabry, Leon Goretzka, Niklas Süle, James Rodríguez and Renato Sanches. Literally, world-class talent for every position available. Indeed, Kovac’s squad depth also includes a number of ageing, but still dependable stars – Mats Hummels, Franck Ribéry and Arjen Robben. 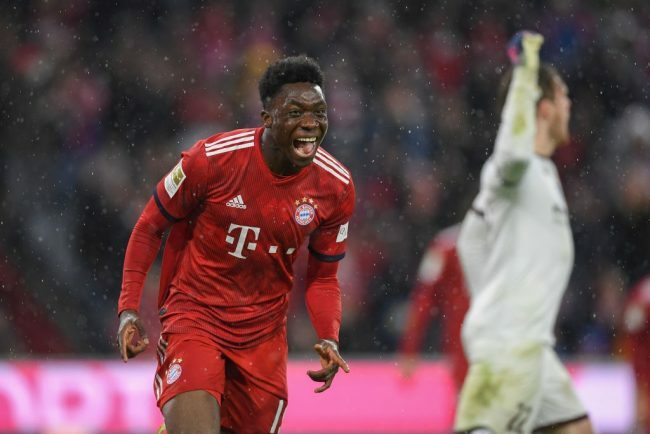 There is a reason that Bayern only opted to purchase €10 million Alphonso Davies in the summer – the signing Kovac held up as an example of how he has been almost asked to coach with one hand behind his back – their management were convinced that they already had a squad that could challenge this season, before a big rebuild in the summer of 2019. The Bavarian’s lacklustre performance in the Champions League at home gave birth to the need to bolster their squad in advance of the summer. Lucas Hernandez a now confirmed arrival in July for a world record fee of €80 million for a defender. The centre back will also be joined by Benjamin Pavard, who leaves Stuttgart at the end of this season for €35 million. Kovac’s problems at Bayern stem from early altercations with senior members of the squad – his relationship with James Rodríguez looked to have the Colombian on his way back to Real Madrid at one point. It is yet another instance of a perceived lack of man-management from the Bayern head coach – to follow on from instances that include Müller and Rodríguez. Kovac’s Bayern had pulled themselves back into title consideration, with excellent performances against Gladbach and Wolfsburg – but crucially, their retaking of the Bundesliga summit had a smattering of a Dortmund crisis included. When put under pressure Bayern have wobbled – twice in a week. Firstly, Christian Streich highlighted areas of concern as his Freiburg side attacked at will down the Bayern flanks, before this evening Frank Schmidt brought all his experience into the Allianz Arena. Almost causing one of the biggest Pokal upsets in years with his FC Heidenheim side. 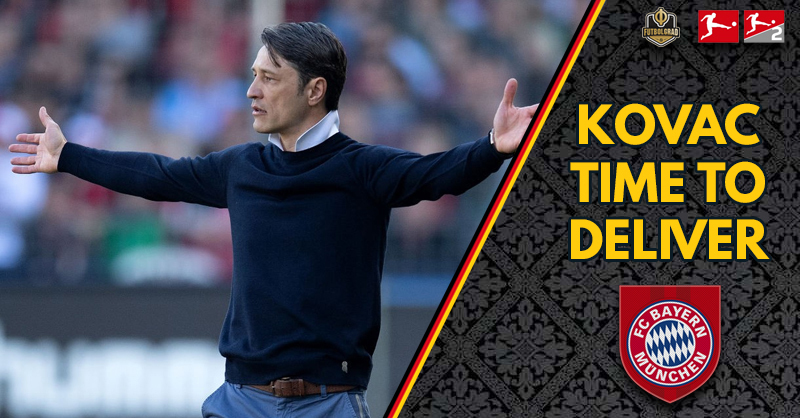 Kovac spoke to the press after the Pokal fixture: “It was a wild and a very open game. In the end, we had that bit of luck”. In reality, a squad whose market value is €770 million shouldn’t need to call upon luck to defeat an opponent where the value is a mere €16 million – or half the price of Javi Martínez, a World Cup and European Championship winner and unused substitute in Wednesday’s 5-4 escape. Saturday’s matchup against Borussia Dortmund is, in essence, a final for Bayern. Should the Yellow and Blacks take all three points in Munich, the gap to the top will be five points, with five to play. There is no doubt that Kovac is a talented coach. What he did with Eintracht Frankfurt showed that he can take a side threatened with relegation and turn them into a machine capable of beating Jupp Heynckes’s Bayern in Berlin – with swagger and eventual ease. It is just that now, the excuses are beginning to run dry for Kovac in Munich. He needs to deliver to ensure he still has a role at the Rekordmeister come August and it must begin in just under 72 hours. Can’t really completely agree with everything you’ve said. As much as Kovac might not be fitted out for this spot, I can’t say that the Bayern Board gave him as much as possible to work with. A good coach in Ancelotti was even kicked out due to poor performances but I don’t think the problems necessarily begin and end with Kovac. Even though Kovac inherited the same squad that was run by Ancelotti/Heyneckes there had already been signs of degradation from the top core of players that were at Bayern. Boateng’s career had already come to a close after Messi had broken his ankles in the CL and Hummels was coming to the twilight of his career after his move from Dortmund. Kimmich was/is a lost player who just plays wherever he is needed in this case at RB. Alaba has been torn by injuries and I could go on and on. Neuer has never been the same since his injuries as well. Muller runs hot in BuLi games and disappears in other games. James is also wildly inconsistent. As much as you can blame Kovac for not having a defined attack plan, the fall was always coming. The core of Bayern is getting older and it’s up to the Board to recognize that. Kovac was always the new boy and when Uli Hoeness said “he knows the club” hell all he was a rotational player at Bayern. The only players who I can see some sort of improvement/consistency are Gnabry, Lewandowski, and Thiago. It’s hard to get results when most of the team is failing not to mention the fact that Sanches expects to play when he is not close to the level of most Bayern players. Sanches is a promising talent but at a place like Bayern you have to perform cause if you don’t, you will be sold/ stuck to the bench ask Germany’s Golden Boy he knows as well. For Kovac, yes, he hasn’t done the best job that a coach can do but to expect so much out of a new coach over a transitional period is pretty crazy. Bayern has turned into a joke but it’s not due to just Kovac. It’s due to the Board not adequately dealing with the problems that Bayern is facing. Placing blind trust in players who clearly can no longer help Bayern’s cause (i.e. Ribery, Robben, etc) is pretty ludicrous not to mention how everyone throws this blame solely on Kovac. Kovac is not at fault for everything. I don’t think it’s fair in this article as you burn Kovac and him solely. A 80 Mill Lucas Hernandez is good and so is Pavard but the Board should still be at blame for their lack of foresight. Their embarrassing press conference to destroy the media should also be part of the conversation. I still remember what I call the beginning of the end of Bayern’s golden generation as Heyneckes’s tenure was coming to an end and Bayern were routed in the Allianz Arena 4-0 by Stuttgart. A motionless and depressing performance from Bayern which looks to be the same performances Bayern puts in. Lucas Hernandez’s injury record should be something worth looking at as well. Not to mention Pavard has been absolutely terrible at Stuttgart(despite the team overall being dogshit) due to many individual errors.